Who you are is not about you. You are God’s, that’s who you are. when God cannot contain joy. I imagine a series of concentric circles where everyone else sits at the epicenter and I roam the outer rim, struggling with an ongoing desire for entrance to the inside. When I fight my way in to the next stage of concentric circles, I find it wanting, and when I find it wanting, I’m forced back into a lesson that I’ll learn and relearn over a lifetime: my sense of identity and self worth have to derive not from some illusory inner circle but from the more enduring inner sanctum of faith. Colonialism is about power and conformity to a set of beliefs. Gospel is about love and giving away power. The Spirit affirms our uniqueness and giftings. Empire conforms us into a particular image. You are a chosen race, a royal priesthood, a holy nation, God’s own people, in order that you may proclaim the mighty acts of him who called you out of darkness into his marvelous light. Once you were not a people, but now you are God’s people; once you had not received mercy, but now you have received mercy. 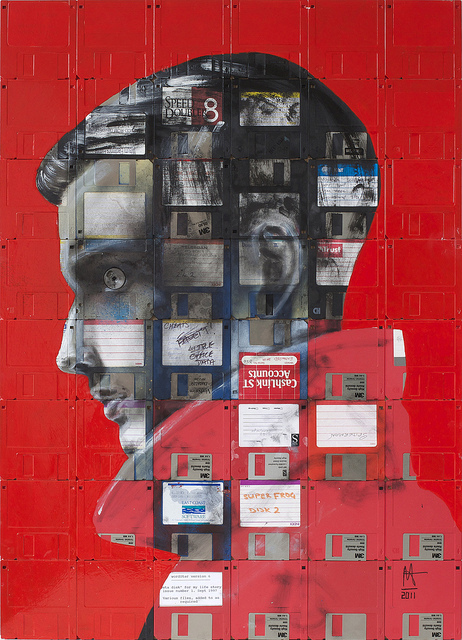 Click here for more of Nick Gentry’s incredible artwork. But this command I gave them, “Obey my voice, and I will be your God, and you shall be my people; and walk only in the way that I command you, so that it may be well with you.” Yet they did not obey or incline their ear, but, in the stubbornness of their evil will, they walked in their own counsels, and looked backward rather than forward. Why should we live in the moment? For one thing, this moment is all we really have. 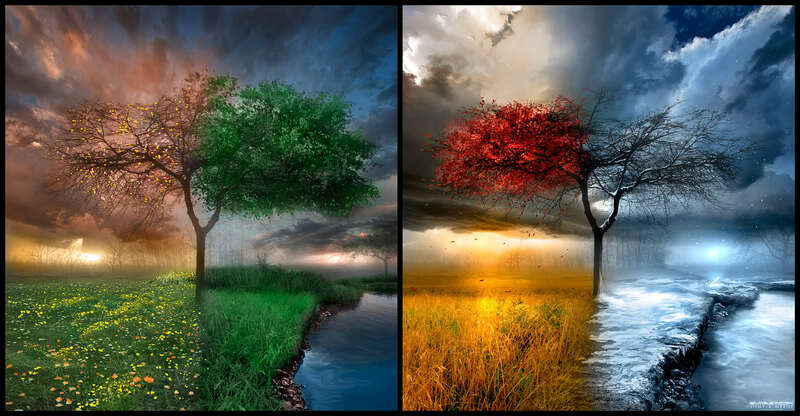 The past is gone; we can never recapture it or change it. And all our moments to come will hold their own challenges and surprises, no matter how much we plan or dream. The only moment that we have to live is now. And the only way to have any impact on how we experience tomorrow is to live our moments well today. If you are focused anywhere but on this present moment, you are missing the only time you can be sure of experiencing. The past is gone. The future is unknown. Having tried to relive the past and to experience the future before it arrives, I have come to believe that in between these two extremes is peace. in endless purpose from without beginning. 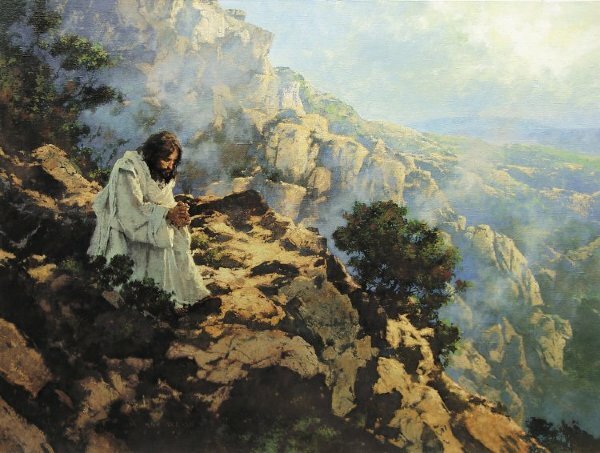 And after he had dismissed the crowds, he went up the mountain by himself to pray. When evening came, he was there alone. On more than one occasion Jesus withdrew to deserted places to pray. Perhaps they reminded him of the wilderness experience that launched his ministry. There too life was seen and tempted in its elemental simplicity. Where the tempter sought to redefine life’s basic elements as fame and security and a full belly, Jesus discerned the exquisite but taxing simplicity of faithfulness to God in the absence of abundance… Jesus’ withdrawal perhaps has less to do with escaping ministry and more to do with seeking the strength to reengage and keep perspective. Simplify. Simplify. To thirst for God is to desire God; it is to know that God is essential. Sometimes we have to be in the wilderness before we recognize our thirsts, our desires. The Bible speaks of wilderness as a place of testing, trial, emptiness, absence. The rabbis called the wilderness the school of the soul. In the wilderness we discover the essential. Somehow we know that without silence, words lose their meaning; that without listening, speaking no longer heals; that without distance, closeness cannot cure. Somehow we know that without a solitary place, our actions quickly become empty gestures. The careful balance between silence and words, withdrawal and involvement, distance and closeness, solitude and community forms the basis of the spiritual life and should therefore be the subject of our most personal attention. If we picture all the obstructions between us and God as a wilderness, Lent presents us with time to clear and cultivate a part of that wilderness, to create an open space in it. In this newly opened space, we may live more freely and commune more closely with the divine. We can transform this wilderness and make it our home, our garden, a place that invites God in and asks God to stay. One day Peter and John were going up to the temple at the hour of prayer, at three o’clock in the afternoon. A man lame from birth was being carried in. People would lay him daily at the gate of the temple called the Beautiful Gate so that he could ask for alms from those entering the temple. 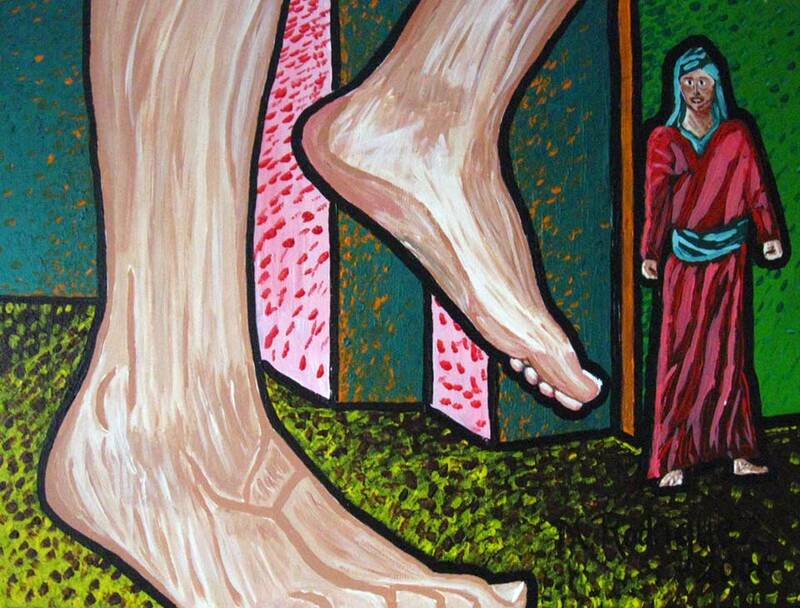 Peter took him by the right hand and raised him up; and immediately his feet and ankles were made strong. Jumping up, he stood and began to walk, and he entered the temple with them, walking and leaping and praising God. You Israelites, why do you wonder at this, or why do you stare at us, as though by our own power or piety we had made him walk? The God of Abraham, the God of Isaac, and the God of Jacob, the God of our ancestors has glorified his servant Jesus, whom you handed over and rejected in the presence of Pilate, though he had decided to release him. You rejected the Holy and Righteous One and asked to have a murderer given to you, and you killed the Author of life, whom God raised from the dead. To this we are witnesses. By faith in his name, his name itself has made this man strong, whom you see and know; and the faith that is through Jesus has given him this perfect health in the presence of all of you. And now, friends, I know that you acted in ignorance, as did also your rulers. In this way God fulfilled what he had foretold through all the prophets, that his Messiah would suffer. Repent therefore, and turn to God so that your sins may be wiped out, so that times of refreshing may come from the presence of the Lord, and that he may send the Messiah appointed for you, that is, Jesus. Be sure to check out more work by Matt Rodriguez and the other artists at the Rodriguez Project. Acts 3:1-20 (NRSV) from the New Revised Standard Version of the Bible, copyright 1989 by the Division of Christian Education of the National Council of Churches of Christ in the United States of America. Used by permission. All rights reserved.